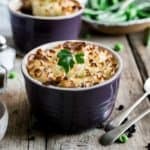 These mini lentil shepherd’s pies are what comfort food is all about! 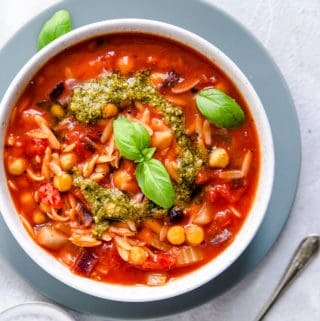 Simple, wholesome ingredients, and delicious flavours that will satisfy the hunger of the whole family! How you’ve been? Now, I know it’s a Valentine’s Day, and today it is all about love and pretty pink food, and chocolates and flowers. 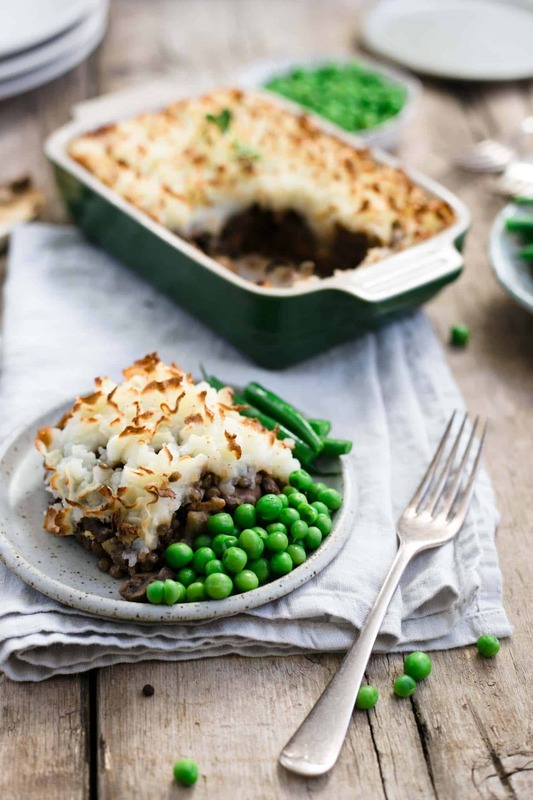 But this lentil shepherd’s pie was simply too good not too share with you and I couldn’t wait any longer to do so! Because the next day, temperatures dropped down massively, and what has been declared ‘the coldest snap of winter’ happened. There was even some snow, which, as we all know, is rather an event when it happens in the UK . 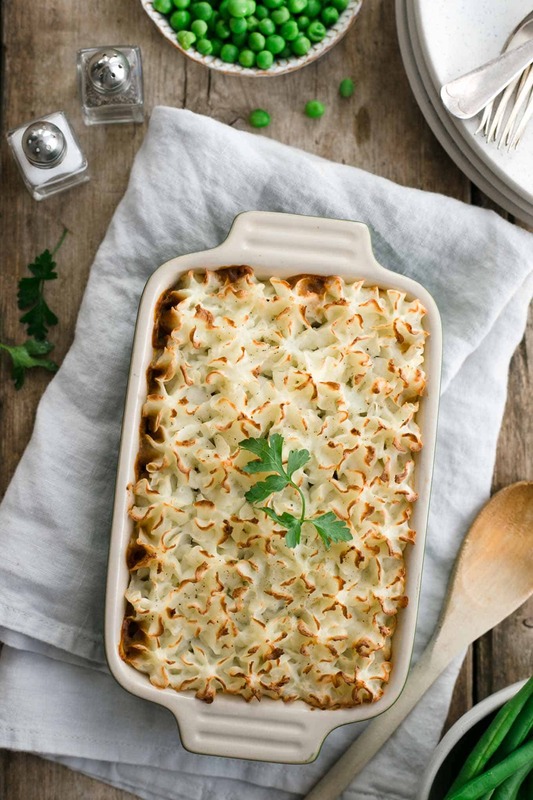 And this lentil shepherd’s pie is always first up in line, when I fancy something really easy, comforting, and delicious. I seriously can’t figure it out, why I’ve never posted this recipe sooner, but better late than never! 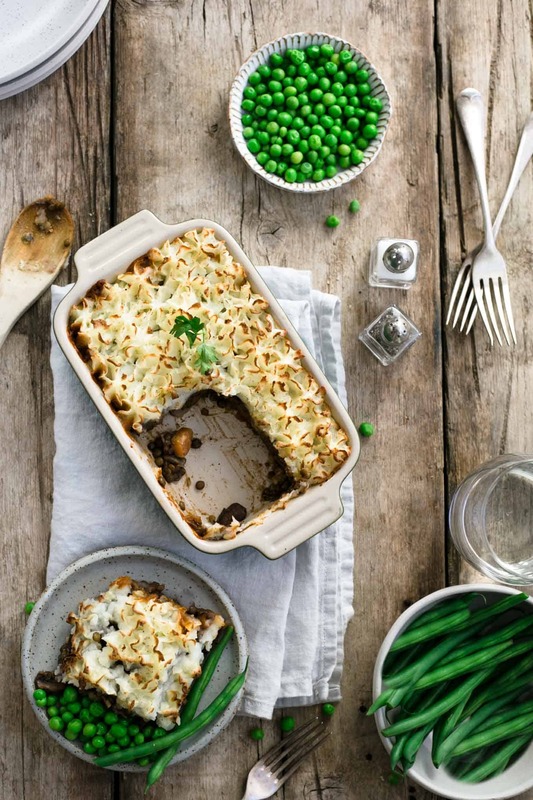 What I love the most about this lentil pie, beside from creamy mash potato on top, is the simplicity of the ingredients. Just some carrots, celery, onion, garlic and mushrooms. A handful of vegetables, lentils and some stock, is all that it takes! 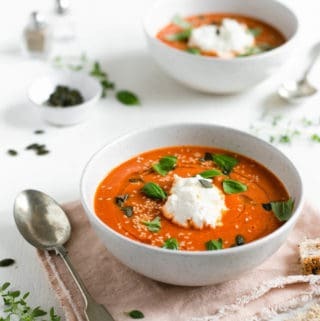 Once you add vegetable stock and some red wine to the lentils mixture, and let it simmer, it will create this fantastic, thick, gravy-like sauce full of cosy flavours. Red wine is of course optional, and you can skip it from the recipe, or try replacing it with a tablespoon of Marmite (if you’re a fan), for a deeper, richer flavour. 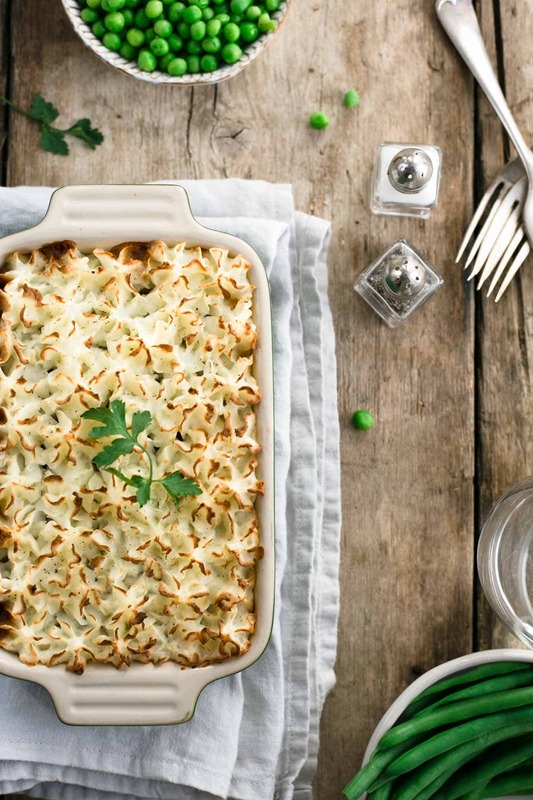 These lentil shepherd’s pies are also suitable for freezing, so you can prepare them well ahead. Just remember to add some extra time for baking, if cooking from frozen. About 20 minutes on top of the recommended cooking time should do the trick! Shepherd’s pie, in my opinion, needs some peas or green beans to go with it, and that’s how I always serve mine. However, you can swap it for the selection of your favourite vegetables, or even serve it on its own, it will still taste amazing! 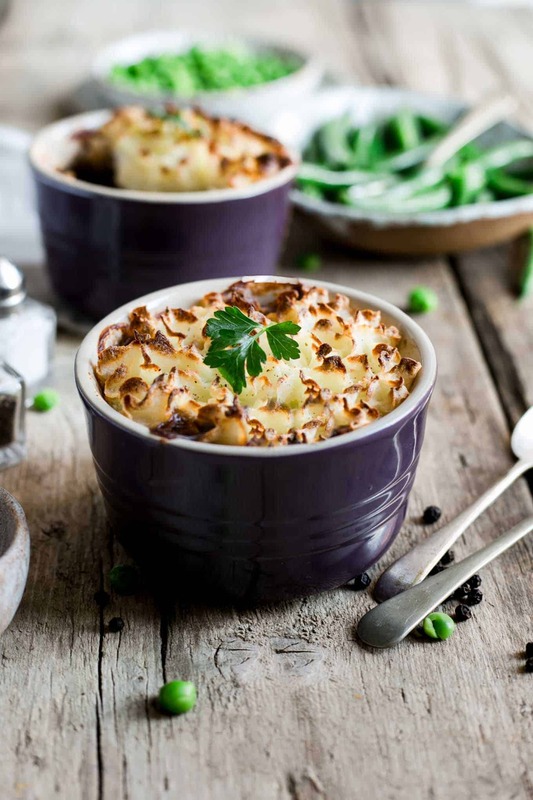 I hope you will enjoy this recipe as much as I do, and this shepherd’s pie will quickly become your favourite comfort food too! 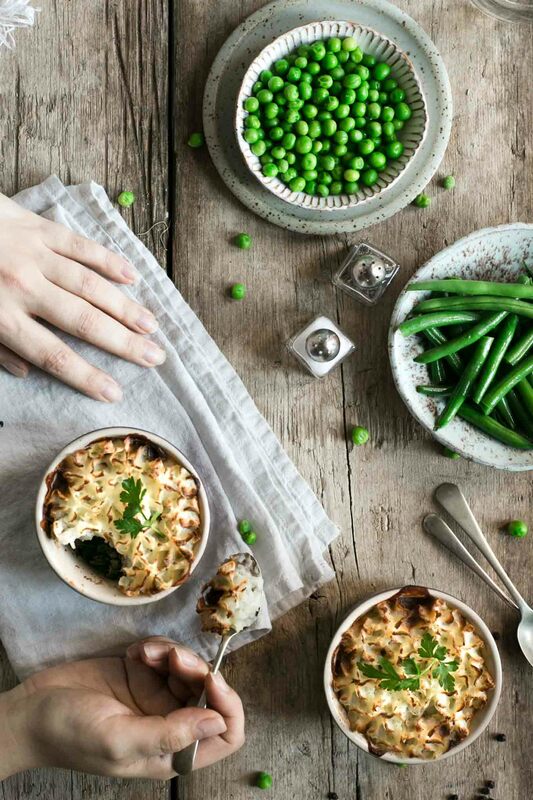 These veggie shepherd's pies are comfort food at its best! Really easy to prepare, great for a week day dinner for the whole family! They are also freezable! 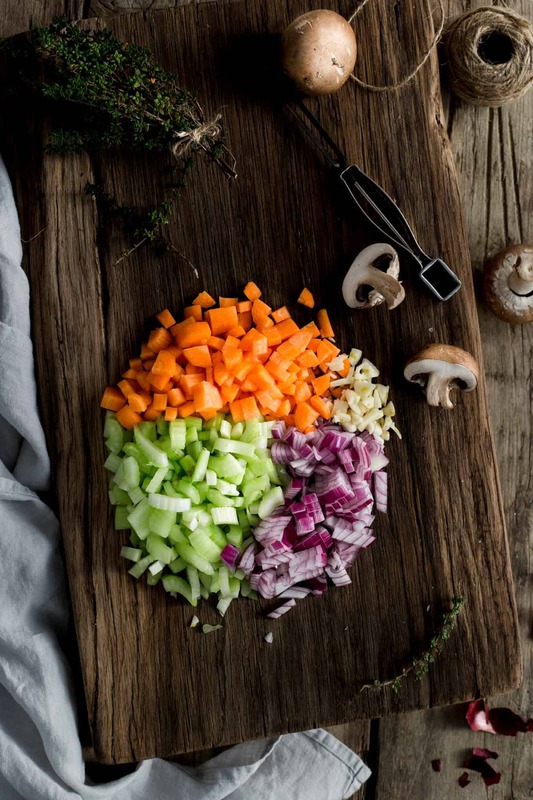 To make the filling, heat the butter or oil in a large saucepan and gently fry the onion, carrots, celery and garlic until soft, about 15 minutes. 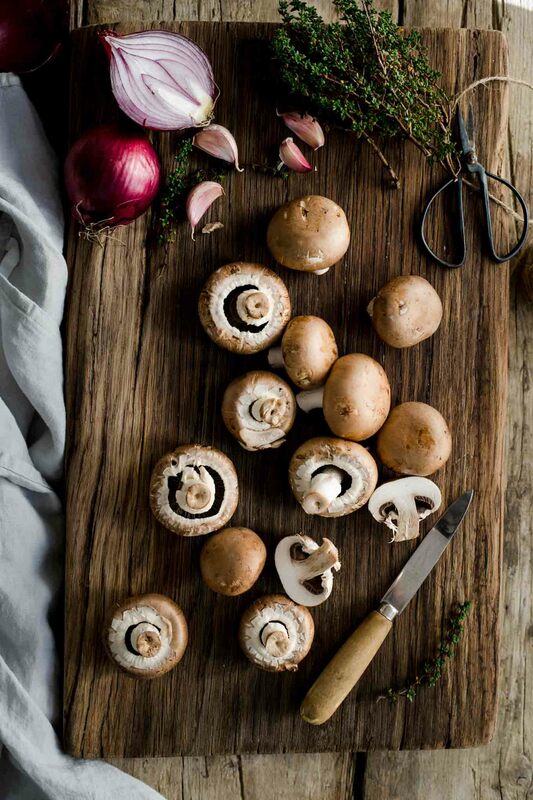 Turn up the heat, add the mushrooms, then cook for further 3-4 minutes. Add the thyme and lentils. Pour over vegetable stock and wine (if using). Simmer gently, uncovered for about 40 minutes until the lentils are soft. If the mixture is drying out, you can add a bit more water or stock. Place the potatoes in a large pan, pour over boiling water and boil for 15 minutes, until tender. Drain well, mash them with butter and milk, and season with salt and pepper. Remove the lentils from the heat, add tomato puree, stir well. Add seasoning to your taste and a generous pinch of black pepper. Heat the oven to 180C. Butter your small pie dishes and spoon in the lentil mixture, then top with mash. You can also use a piping bag to do that. Bake for 30-35 minutes until golden. Serve with peas or beans on side. Enjoy! Recipe adapted from BBC Good Food Magazine. Oh my gosh, these look amazing. Such a wonderful vegan option! I love what you did with the potatoes. It’s stunning! Thanks so much! I love using piping bag for mash potatoes, so much fun! Really glad you like it! Thanks so much Valentina! It’s amazing what you can make with just few simple ingredients! Glad you like it! 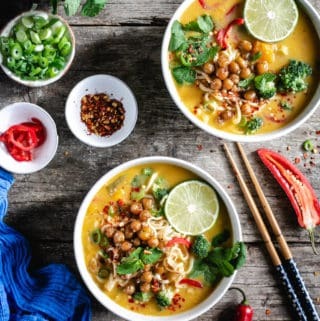 Such a FANTASTIC healthier version of a classic comfort food!! YUM! Really loving that decorative mashed potato top on the pies too! thank you! It’s so much fun to use piping bag for that, and it’s super easy! 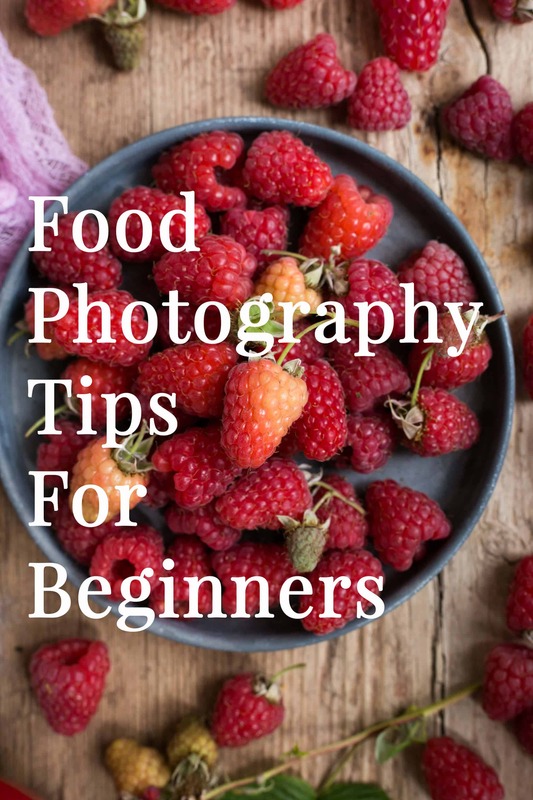 I really hope you will try this one, and if you do, let me know if you liked it! Thanks so much for sharing! Tania! Thanks so much my lovely! 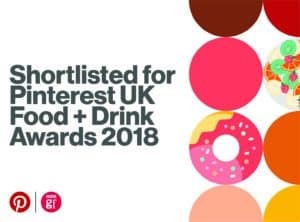 I’m so chuffed to read that you like this one! And yeah, this cold snap seems to came out of nowhere, and just doesn’t want to leave! Stay cosy! They are such great meat substitute, I do love them too. And thanks Nadia, that’s great to hear! Beautiful! Reminds me of my old hippy days when everyone made lentil loaves! But this looks fantastic, and your potato piping is the prettiest ever! Thanks Jasmine! It’s so simple, but such a great result using piping bag! Great to hear that you like it, hope you will get to try it soon! 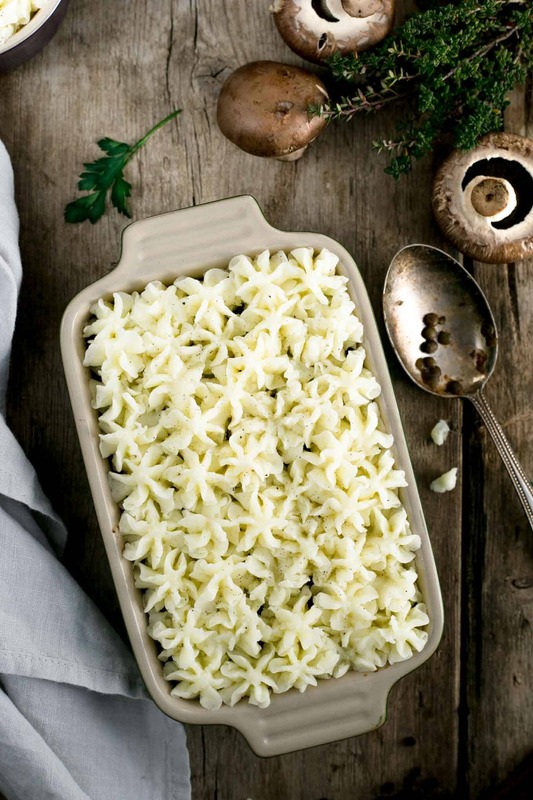 What a beautiful dish – the potatoes look wonderful here. I’ve never had shepherd’s pie before going vegan and I had my first veggie one a couple months ago – I am HOOKED. So yummy, can’t wait to try your version! Oh that’s so great to hear Stephanie! And it’s a good thing to be hooked into 😉 It’s one of my favourite dishes, glad you also like it so much! This looks amazing! 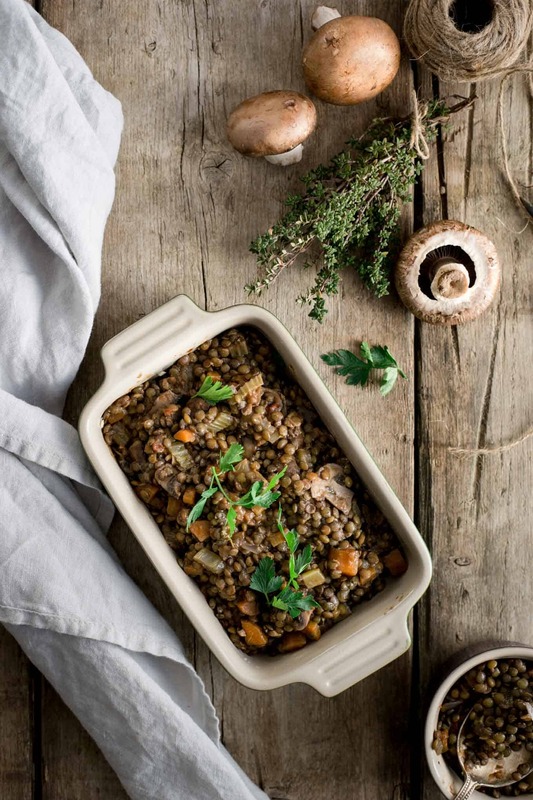 I love the mushrooms and lentils in this recipe. They both add an amazing and such a delicious texture to the dish! Glad you like it! I love anything “mini” so these caught my attention. So perfect for parties or get togethers. Thank you! haha, I’m totally the same Jen! Anything in mini version always tastes and looks better! And you are welcome, thanks for stopping by!